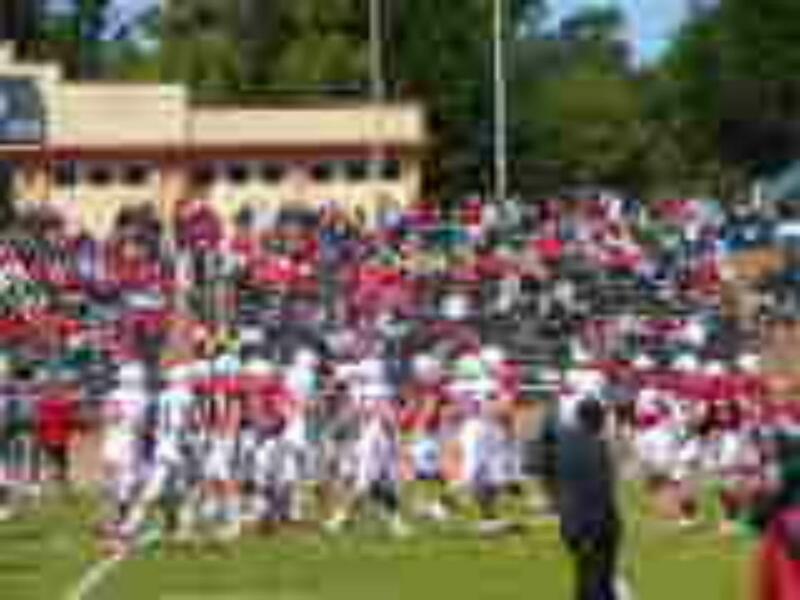 SAN FRANCISCO – San Francisco Recreation and Park Department (RPD) welcomed Stanford Football team to historic Kezar Stadium in Golden Gate Park on Saturday, April 9th, 2011 for the team’s annual Cardinal and White Spring Game. Quarterback Andrew Luck completed 16 of 22 passes for 165 yards and three touchdowns to lead the Cardinal to a 42-3 victory over the White before an estimated crowd of 6,800. RPD General Manager, Phil Ginsburg made welcoming remarks before the game, and tossed the coin that decided the kick-off of the game. The event was part of the rich tradition of football here at Kezar Stadium, from the San Francisco 49ers and Oakland Raiders who made this field their home in the 1960s and ‘70s, former high school legends and even Stanford, which played a game at the Stadium back in 1940. Kezar Stadium is a 10,000 seat multi-use stadium complete with a track that, in addition to hosting major sporting events, is used by thousands of runners and joggers each year. Kezar Stadium and the adjacent Kezar Pavilion are home to major sporting events including the annual Pro-Am Summer Basketball League, professional soccer games, Roller Derby and a number of high school and college sports competitions.